Michele Muñoz is from Quito, Ecuador. 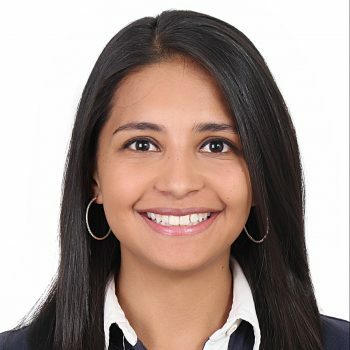 She studied Hospitality Management in San Francisco de Quito University and started her career working for one of the largest entertainment companies in the world: Walt Disney. As a volunteer at Fundación Cecilia Rivadeneira, an organization that fights childhood cancer in Ecuador, Michele discovered her real passion. Four years later, she decided to continue this path as a participant in the leadership program of Teach For All where she worked as an English teacher in a highly vulnerable school of Ecuador. As a changemaker, her motivation is to create a project that can aid the educational system to ensure all children and youngsters have the opportunity to fulfill their potential. At Amani Institute, she hopes to gain leadership skills and is committed to finding solutions to social problems with creativity and values that can promote a culture of change beyond judgments.